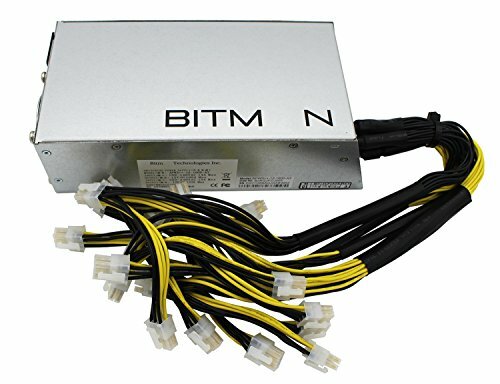 New Switching Power Supply for Bitmain AntMiner L3+ S9 T9 (Model Number: APW3++-12-1600-A3), Wide Voltage Design, 1200W / 1600W, 10 of 6-pin PCIe Connectors. Power cable not included. If you have any questions about this product by Bitmain, contact us by completing and submitting the form below. If you are looking for a specif part number, please include it with your message.